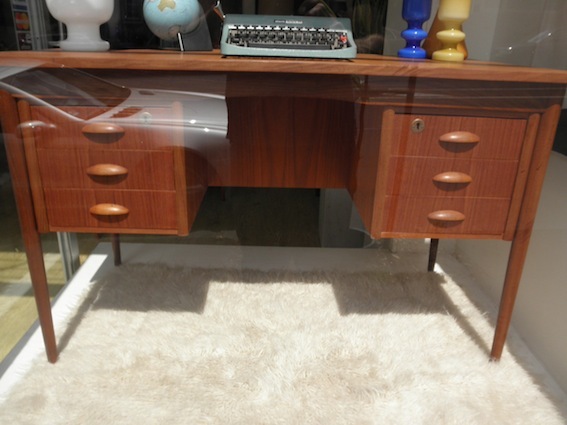 Great size Danish modern 1950s desk. 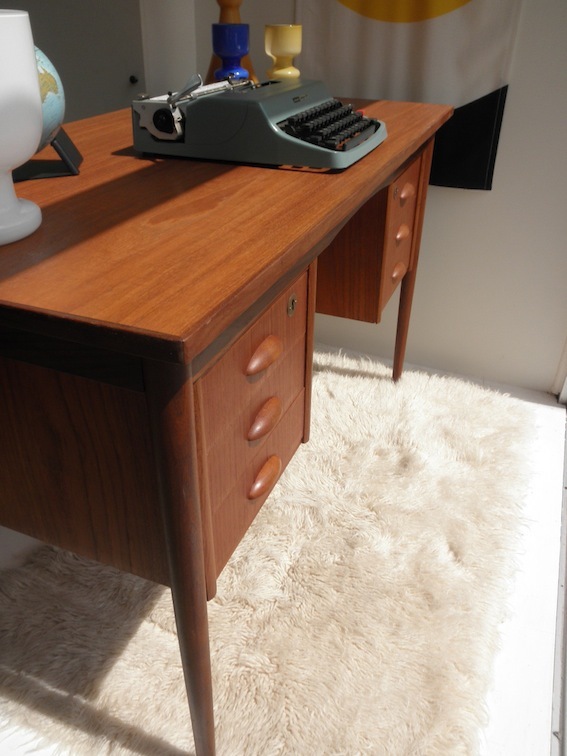 Imported by original owners who were Danish it is the perfect apartment sized desk with enough room for your computer and a work surface without the bulkiness of most vintage desks. 1220mm w x 65 d x 750 h.